« Preparing Young Children for Easter Without Rabbits! Across Utah and Nevada and Sherrylee’s Amazing Escape! We left beautiful Pagosa Springs, Colorado–in a frosty temperature of 18 degrees–and started west. I knew that we were going to spend all of one driving day crossing Utah and then all of the next day crossing Nevada, with our final destination being the Tahoe area of California—but I had no idea what to expect. We had never been in either state—except for flying through their hub airports. I had flown once to Seattle via Salt Lake City, and I remember looking out the window of the airplane and thinking that I was looking at moonscape below—the most barren and the most unusual landscape that I had ever seen—but I wasn’t quite sure exactly where we were in the air, so I didn’t know if we were driving toward the moon or not! Those two days of driving , however, were two of the most fascinating and interesting days of driving that I have ever done. What was God thinking as He spoke Utah into existence? Maybe, let’s just see what We can do with sand. After all, look what we did with mesquite trees in Texas and what We did ex nihilo in Kansas! 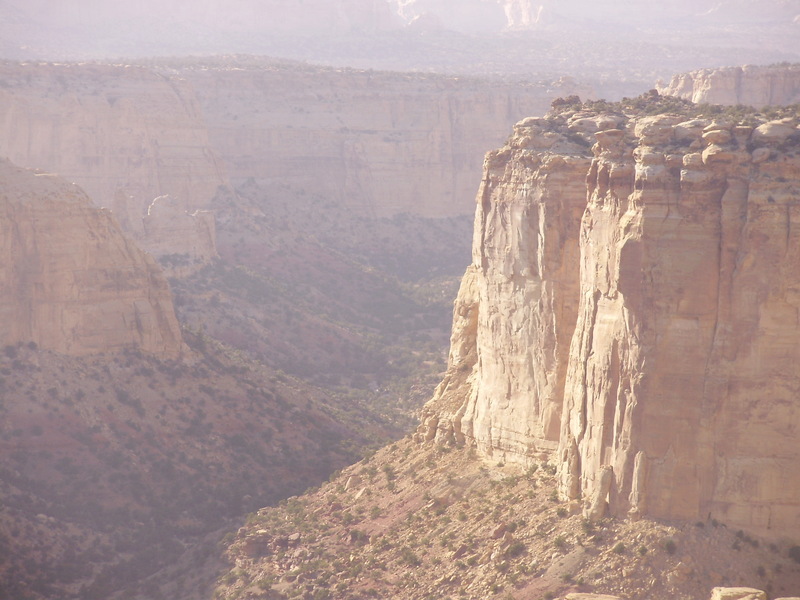 We already did mountains in Colorado, so let’s try just sandstone in Utah! Great choice!. The next day we took Highway 50 across Nevada, called “The Loneliest Road in the United States!” It was not the ugliest road, but the towns are few and far between. Across the entire state, we ascended one beautiful mountain pass, going down the other side to enter into an even more beautiful valley with another range of snow-crested mountains right in front. 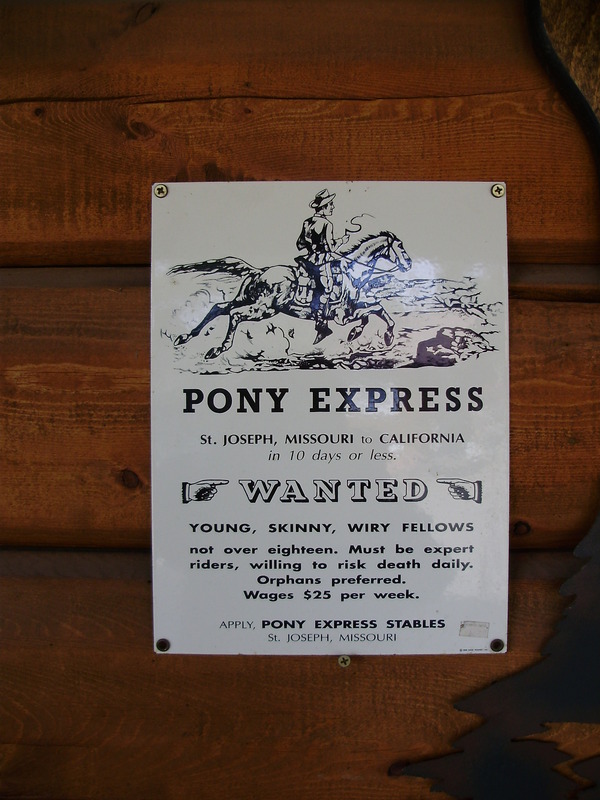 This is the route the Pony Express riders took! No wonder that mail service only lasted about eighteen months. Those passes in the winter must have been miserable riding conditions. Add hostile cowboys and Indians, and it is amazing the mail ever arrived in Sacramento—but it almost always did—an amazing story! 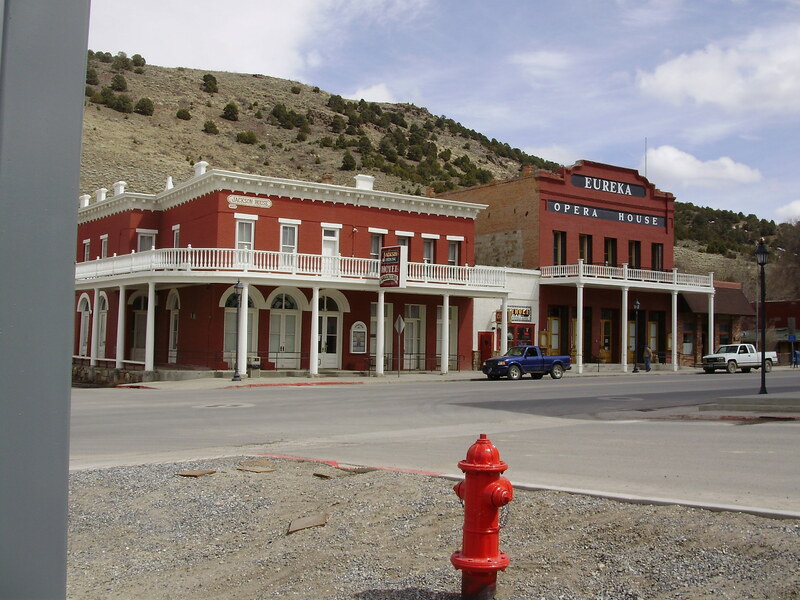 It was also the route of the Wells Fargo stages, so whenever there was a town, it was typically also a stagecoach and pony express stop as well. As we were going by one box canyon, Sherrylee saw a large herd of cows being rounded up and tended by a group of cowboys on horses about 500 yards back off the road. We drove by—but, of course, I was persuaded to turn around, so we drove back and took this gravel road up to a barbwire fence about 300 yards from this group of working cowboys. This was going to be a great foto op, I thought, until Sherry decided to open the gate and go up and talk to the cowboys!! Well, I decided to stay and just take pictures, but she walked about 100 yards toward the herd, when suddenly a group of about fifty cows seemed to spot her impudence and started heading down toward her. I wouldn’t say it was a stampede, but they were not walking toward her either. Well, she sees them coming her way and starts—well, I wouldn’t say it was a dead run, but it was not walking either. She gets to the fence, throws it open and gets through it about 60 seconds ahead of the cows. She can’t get the gate quite back together, what with her feet moving so fast through the gate, so I quickly put the gate up and lock it down—as we had found it! The herd –except for one calf—begins heading a bit more to the west and one of the cowboys follows them down and runs them back away from the fence. All the while, Sherrylee is hollering at him, “Did I do this? Oh, I’m so sorry! Did I do this?”—thinking that she had at the best created a lot of work for these cowboys. He came over and told her, no, no! The cows weren’t really interested in her at all! 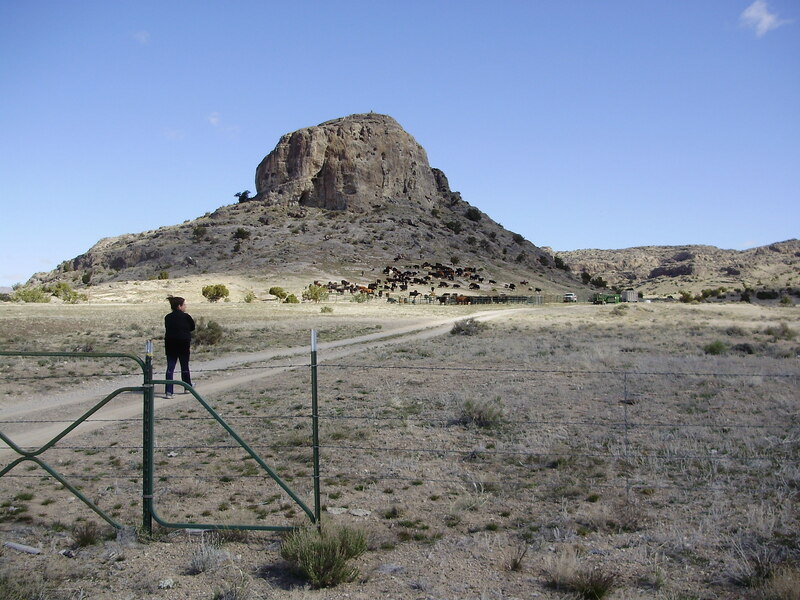 In fact, the cowboys were driving the whole herd down that way because they were finished branding and were turning them out into new grazing areas. Sherry and I had dodged a bullet! The cowboy stopped and visited with us for a while. Turns out he is an electrical linesman and just does a little cowpunching on the side. In fact, he had brought his whole family—including children—so this 4-5 day event was their family’s spring break adventure! He was very nice. They let Sherrylee go and promised not to warn the cowboys working other herds ahead of us! And we had a great adventure and a story we will laugh and enjoy for the rest of our lives! 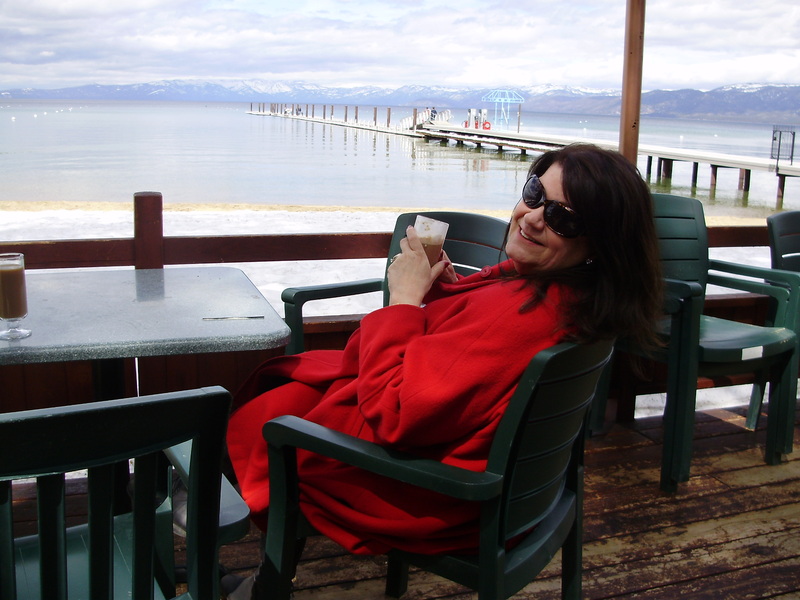 We rested Sunday then in South Lake Tahoe, going to church, then sitting by the lake and enjoying the beauty of the world God created. I thought about how much dust we had seen! Rocks are just compressed dust, the sand is big dust, now the salt in the Great Salt Basin is a different kind of dust, but smashed down, it is dust also. Everything eventually returns to dust. Dust to dust! My dust too! It is that image of God that recognizes the Creator and praises Him for wonders of nature—all the gifts of His Hand. Thank you, Lord. The dust in me also marvels. It is just as marvelous even if not created by god. But you have to admit that those of us who believe that the beauty is an act of love enjoy an added dimension! Thanks for your comment, Howard. I think we are planning on lunch soon, aren’t we! Quite the contrare, I would not admit that at all. For that I could claim that those of us who see it as the result of natural law could enjoy THAT added dimension. I will not make that claim, but I will protest that we all can enjoy it equally. I do not claim to enjoy life more than any other, but I cannot imagine anyone enjoying life and the wonder more than do I. Still waiting for you to find time for that lunch. My health seems good so I’m probably good for at least another ten years of waiting, but after that….? Wonderful, Mark! Sherry, I’m so glad you weren’t knocked off the face of the earth by that thundering herd! Enjoy every minute! Great stories of places I would love to be. Lake Tahoe is about the most beautiful place I’ve ever been. Thanks for sharing your adventures with the rest of us. We missed you at LST weekend but I’m glad you are doing what you are doing. We missed seeing everyone also, but I heard the LST staff did a great job! So glad you are going this year!